← How did acting as a child effect your schooling? I am often asked what I get up to on holiday. 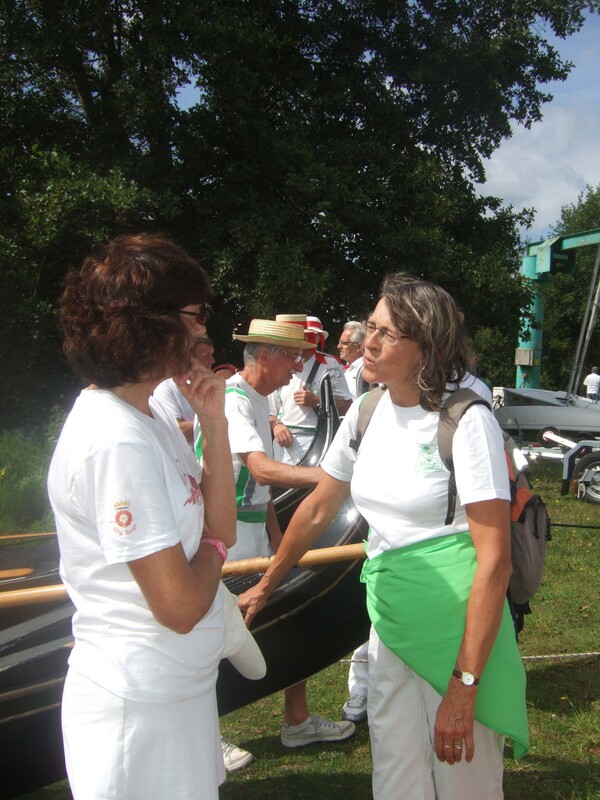 We have just returned from Rendez-vous de l’Erdre in Brittany, when we rowed some forty-five kilometers down a tributary of the Loire, leading a procession of 240 traditional boats into Nantes. 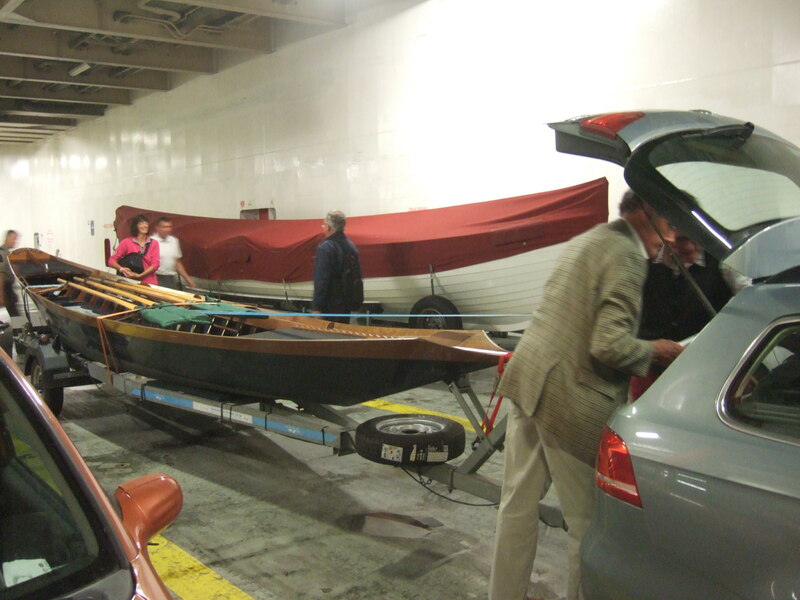 where the crew from our boat club, City Barge, gathered to load two boats onto the cross-channel ferry to Le Havre. We took Serena, a Venetian sandalo and The Royal Thamesis, a thirty-six foot shallop belonging to the Draper’s Company. Towing them from Oxford to Brittany was no mean feat, but other vessels from Great Britain had also made the crossing, including a thirty-three foot steamboat. 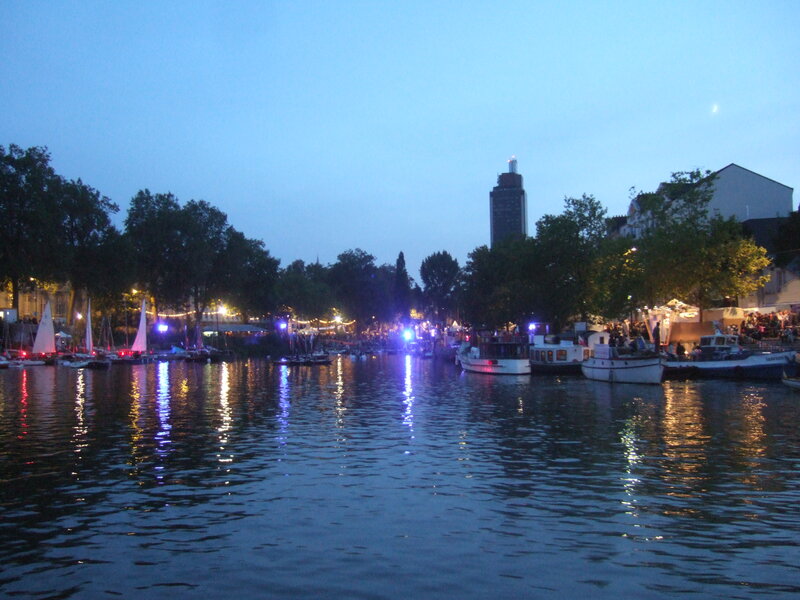 We launched the shallop at a pretty town called Nort sur Erdre where a jazz band was already playing to herald the festival de la Belle plaisance française. 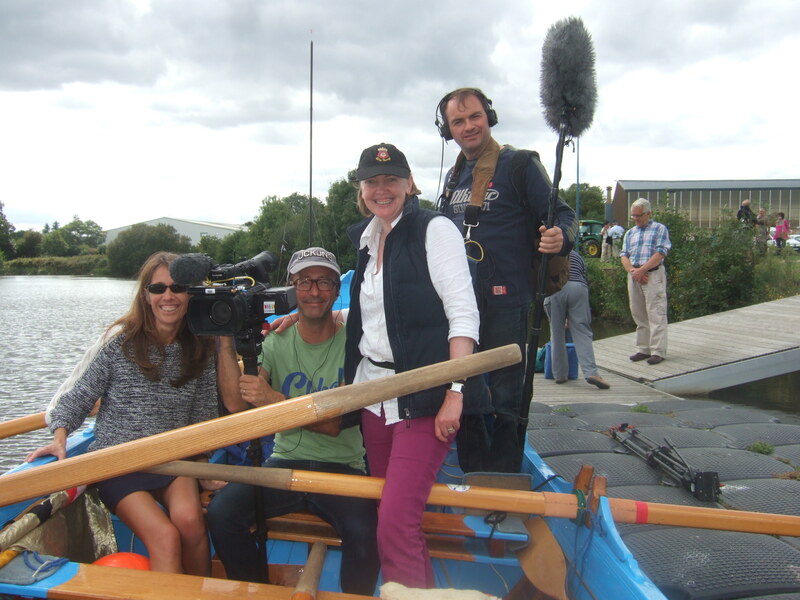 Stephanie Pasgrimaud from France Televisions Pays de la Loire came aboard to interview me – in French and English for the regional News on France 3. That afternoon we rowed some way down to Monsieur et Madame Courant’s B&B on the river where we met up with other members of the party and stayed for the next four nights. I had the most lovely room overlooking the water; chambre d’Empire. As the mist rose the next morning we put up our canopy to transport our passengers downstream. We have a crew of six oarsmen, with a cox and a wiffler. I alternated with others, taking on all three tasks. 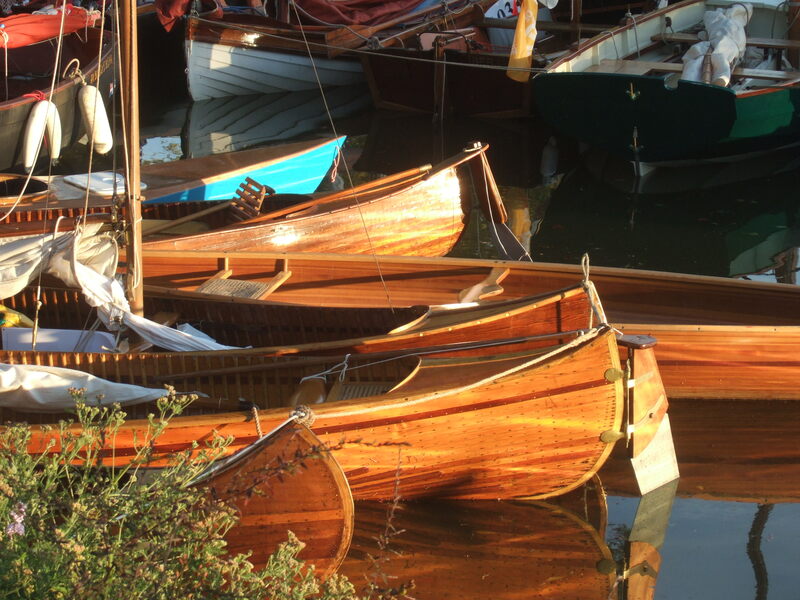 We row in medieval fashion, one oar each, seated on a fixed thwarts. 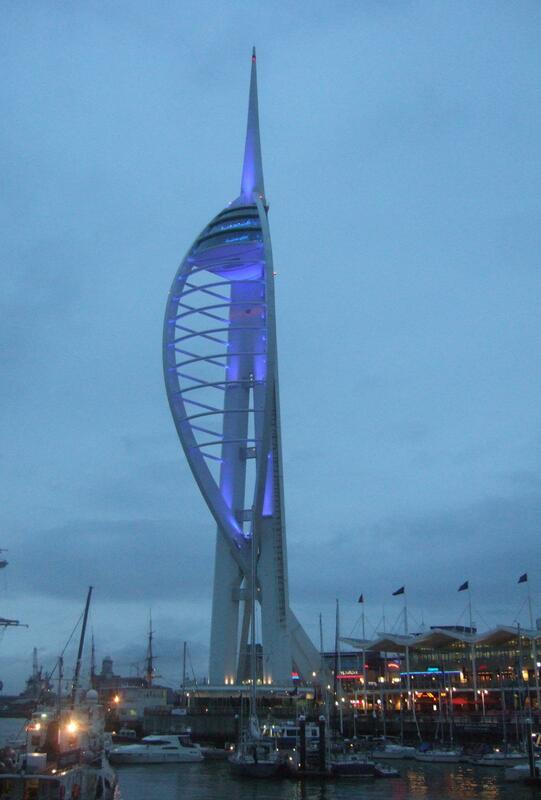 Please click on the image for a history of the vessel. 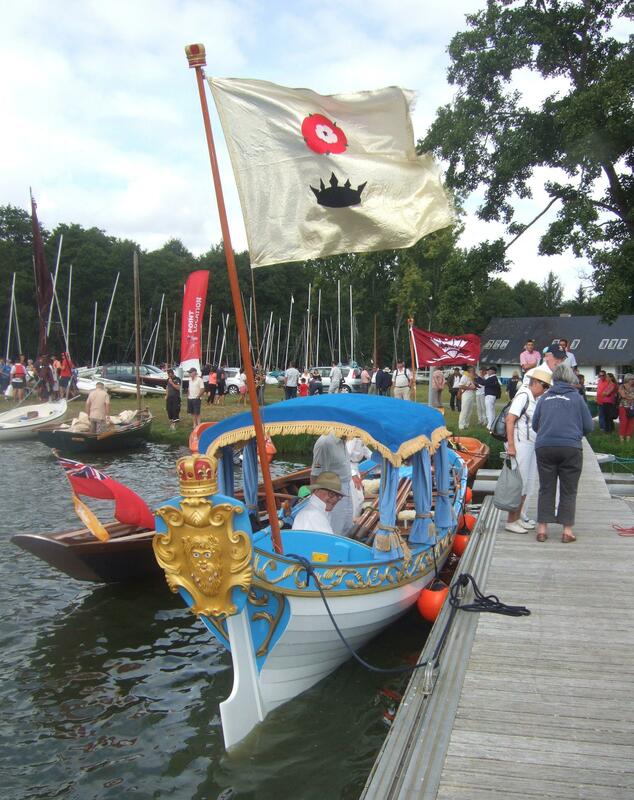 You may have seen our boat if you watched the Queen’s Jubilee pageant, rowing in third place, while old Father Thames glared down from our badge on the stern, elvers peaking from his beard. 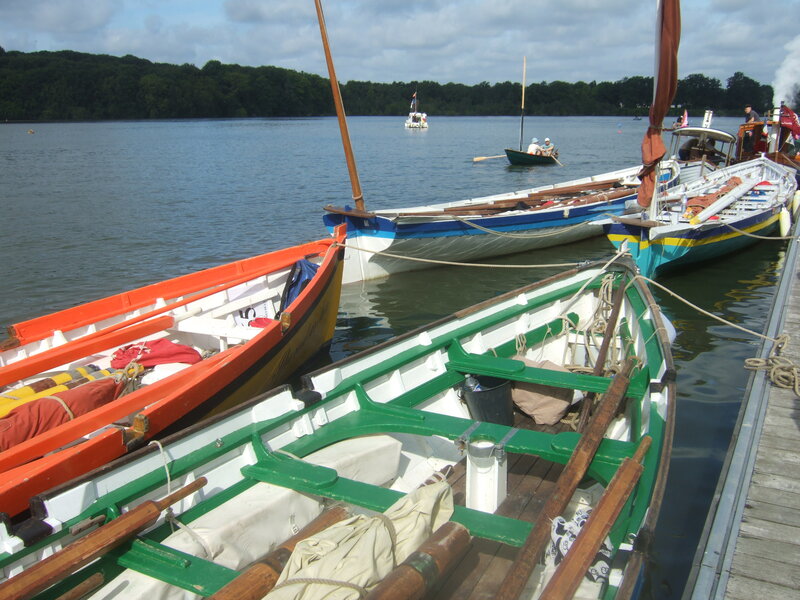 That first morning in Brittany we practised various manoeuvres before rowing a short distance to a boat club, where we moored for a picnic lunch. 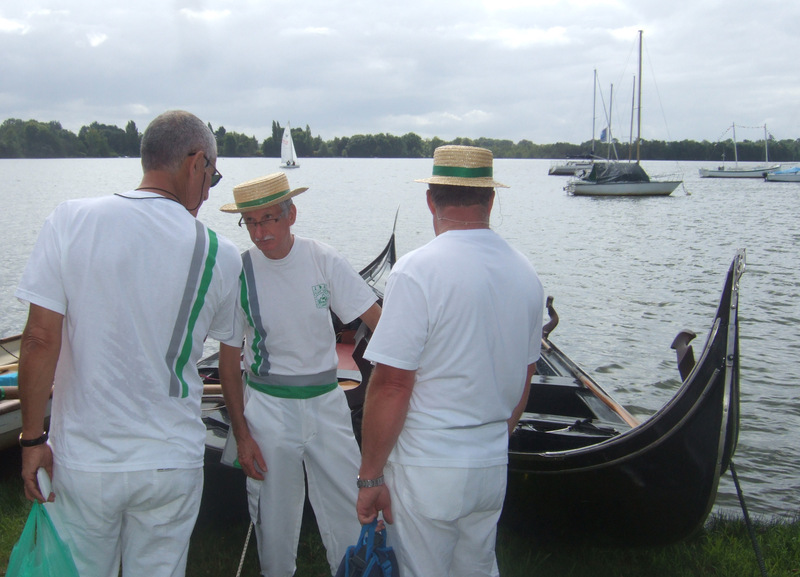 Here we met oarsmen from all over Europe. Including those who row standing up. where Stephanie was reporting on our progress for France 3. 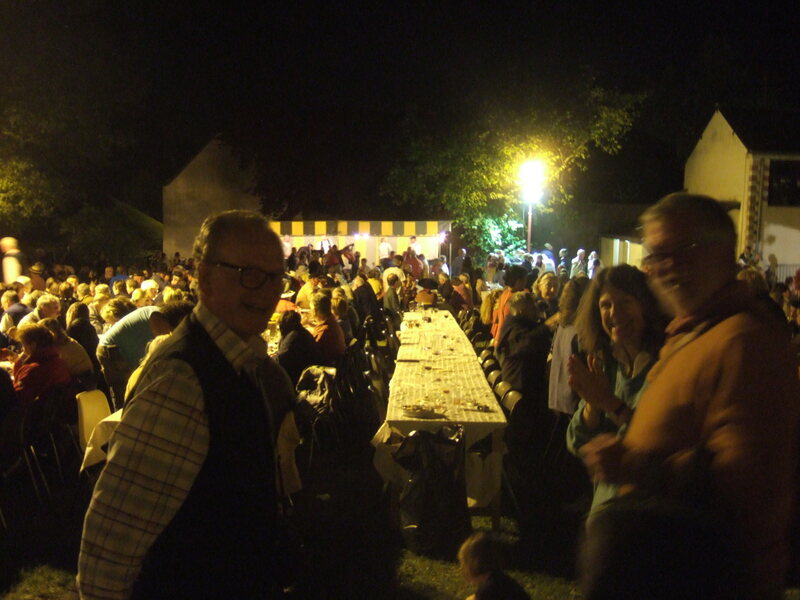 Here the crews of the 240 boats taking part in the event were treated to a special dinner held outside with a jazz band playing sea shanties. 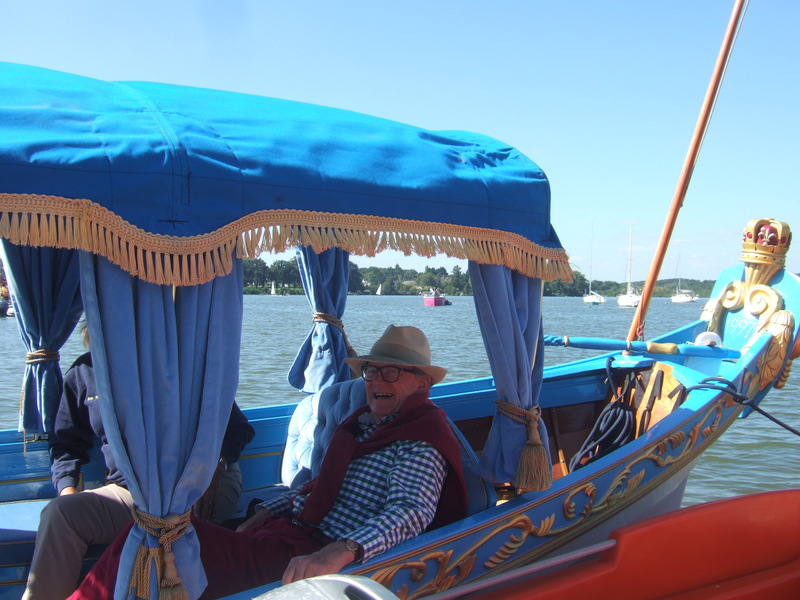 The organisers had brought together traditional boats, passé nautique, of many kinds. 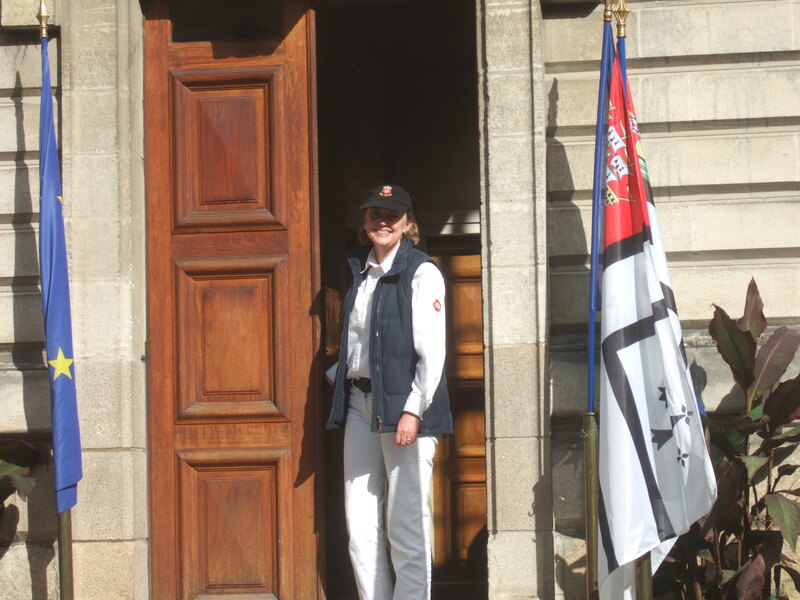 most were in the class de voile-aviron ~ row and sail ~ principalement des bateaux de petites tailles, souvent anciens, et correspondent pour la plupart à des critères de rareté ou d’élégance. 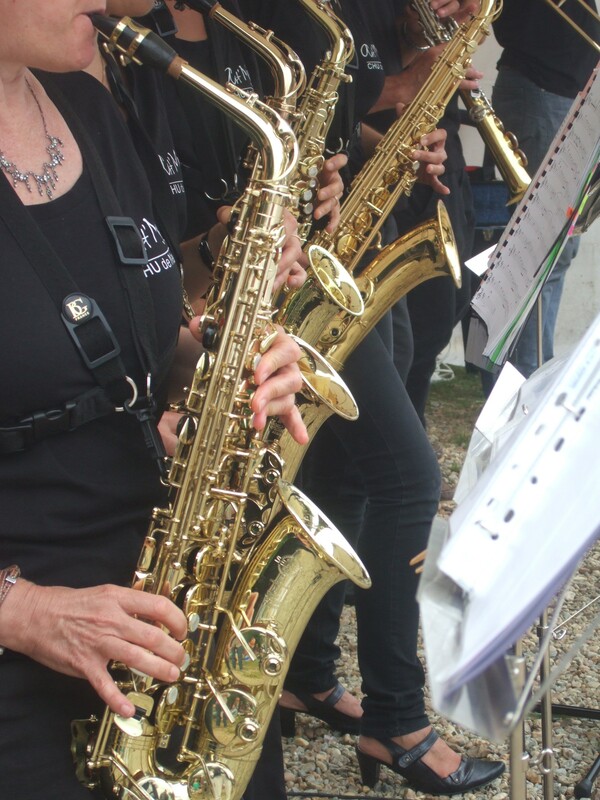 At every stop for coffee or lunch, laid on by the festival au point de vue, we were accompanied by le jazz. It was phenomenal. 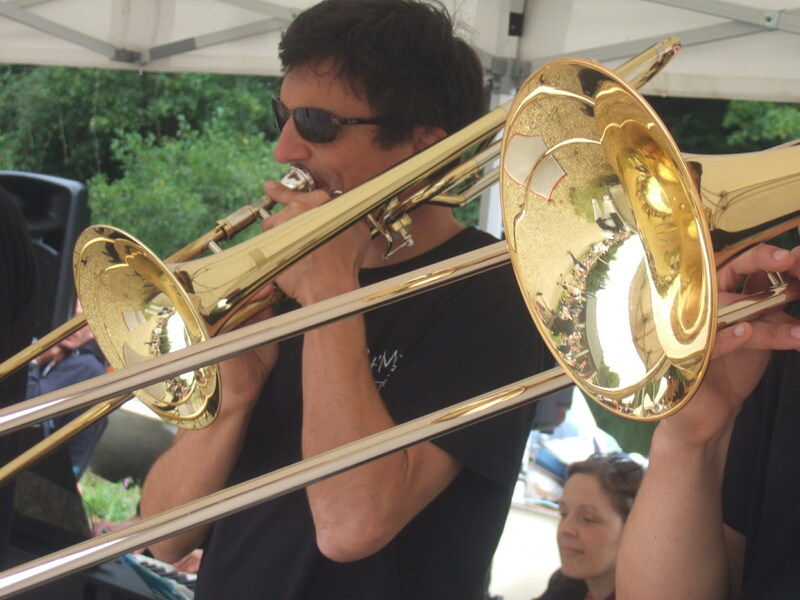 Much was traditional but new experimental jazz was also being played to appreciative audiences. With the music came with the most amazing food. 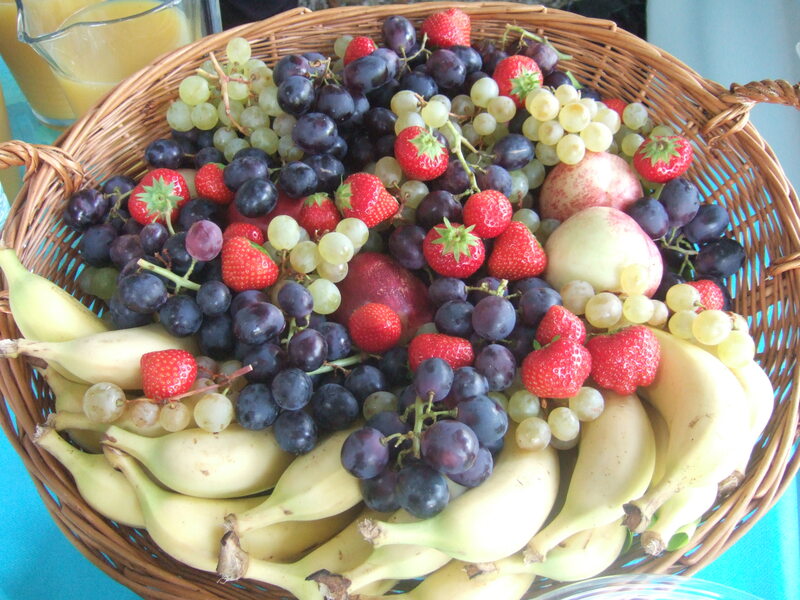 We were looked after beautifully. 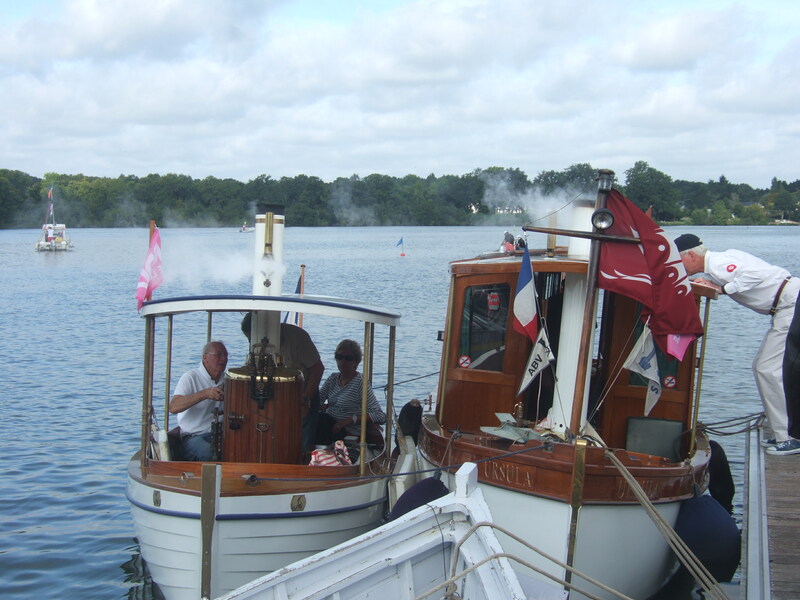 we were honoured with the task of leading the procession of historic boats into Nantes. 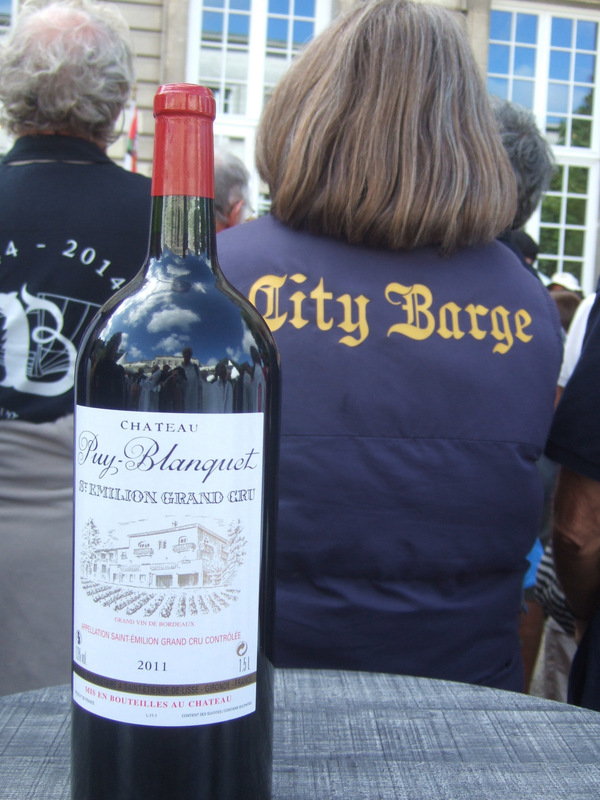 and prize giving when our club, City Barge, was awarded a very large bottle of red wine. You clearly had a great adventure, on that trip. i hope you felt a sense of achievement. No mention of blisters ?? No blisters. 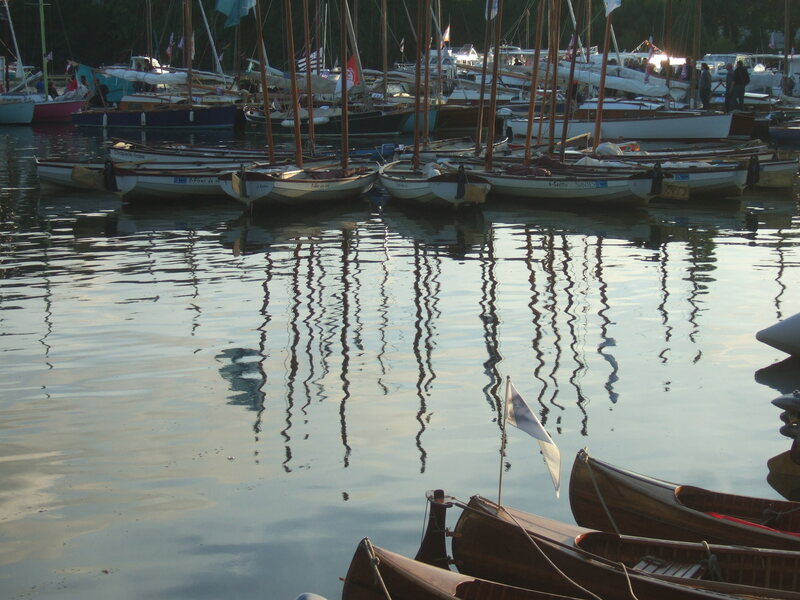 We have been known to row a great deal further, and I coxed quite a bit. 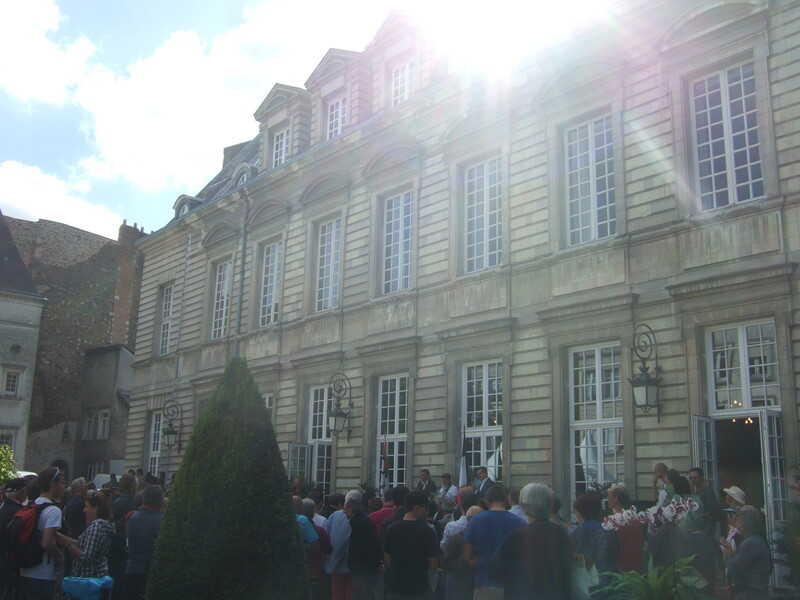 It was pretty challenging getting the shallop safely out of Nantes and back to Suce after the reception at the Hotel du Ville. I’m not sure how far it was, I guess four hours of rowing on the Sunday afternoon. What’s a whiffler, Sophie? Sounds like something Lord Emsworth might cherish at Blandings. It’s a person who whiffles. My father tells me that traditionally the whiffler stood in the bows with a boat hook, looking out for logs and dead bodies. These days he remains in charge of the bow line and mooring up, then stowing the fenders and keeping a look-out for other craft as we make way. It’s actually a very important job, as Susan would say. You can get quite cold on the Thames tideway being a whiffler but it’s easy enough to swap with the oarsman rowing bow-stoke. What a wonderful way to spend a vacation Sophie! 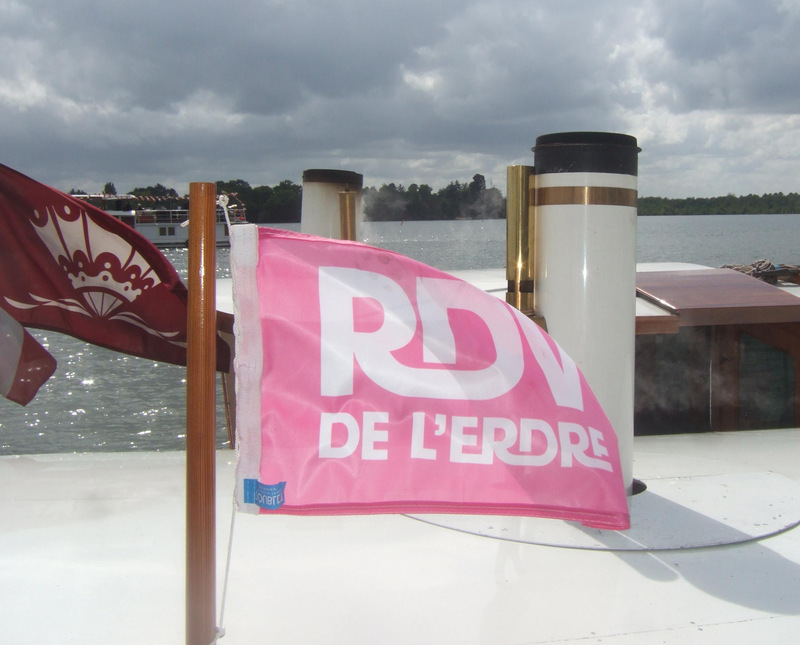 Especially on the river Loire. You certainly deserved it after your summer of film introductions! Speaking of summer vacations, I overheard a stock-broker on the bus the other day complaining about how expensive it had gotten this summer to maintain his “boat” and how he was going to sell it. 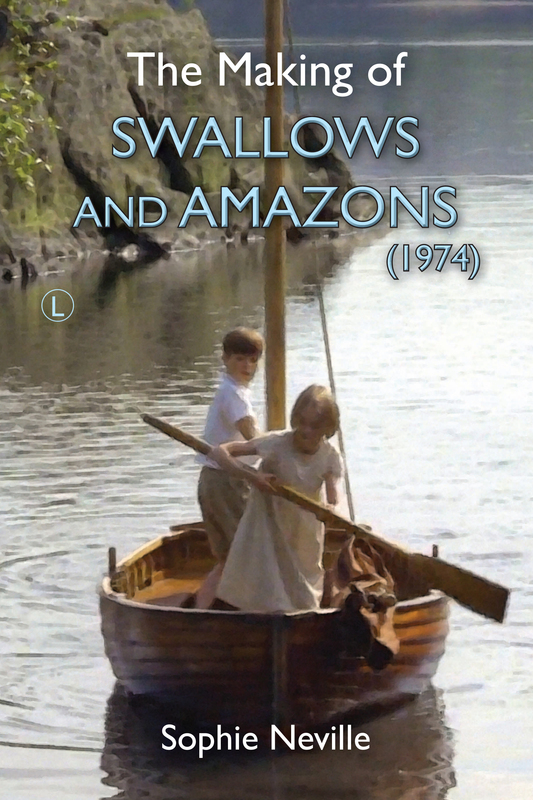 I couldn’t help thinking of how cheap it was for the Swallows and Amazons (or Ransomes and Altounians) to maintain sailboats made of simpler materials and in simpler times. The perfect summer escape! 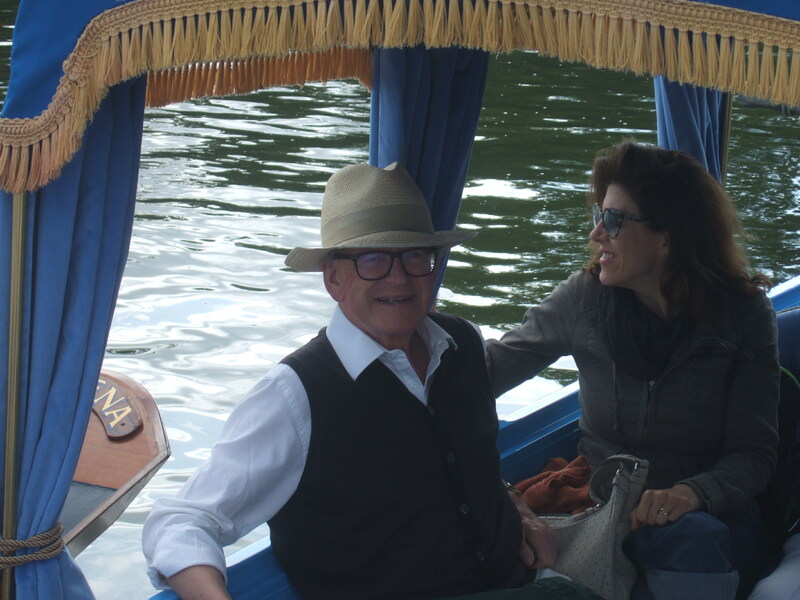 And no, I didn’t offer to buy the fellow’s boat! 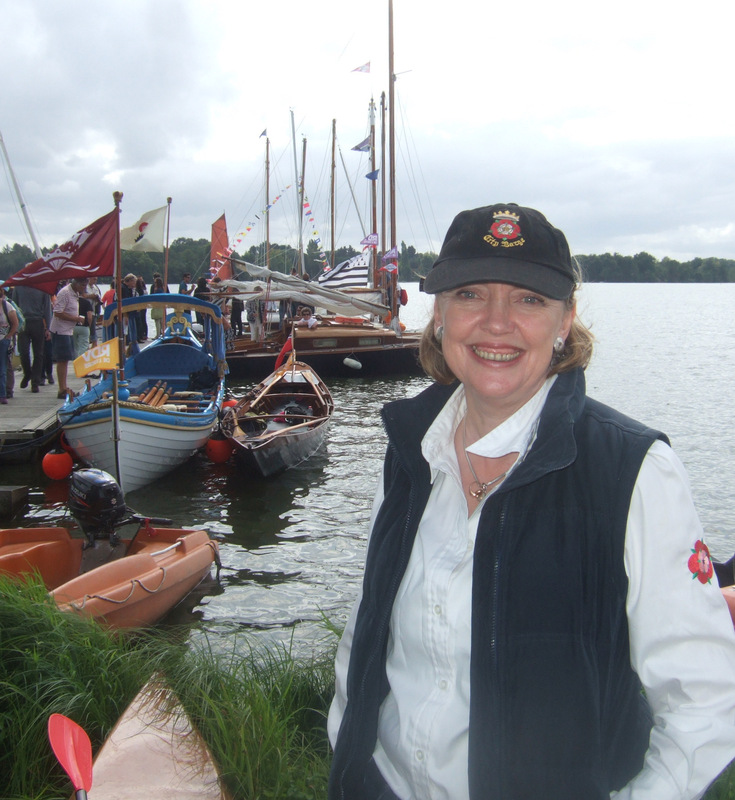 Yes, I’d love to take Swallow to a similar event, perhaps the Traditional Boat Rally. It is not, but I have been charged by rhino.